Bare PR’s Director, Lorraine Bridges, has been invited to advise students at one the UK’s leading business schools. One of just 250 Chartered Practitioners in the UK, Lorraine has been asked to provide industry insight to a global cohort of business management students enrolled at the prestigious Surrey Business School in Guildford. She’ll be giving the next generation of business owners an exclusive look at the top PR trends for 2019 as well as sharing some of Bare PR’s award-nominated case studies from B2B and B2C campaigns. Lorraine said “Since Bare PR was formed we’ve always been clear that PR is a business critical, strategic function which impacts the bottom line. So, I couldn’t be prouder to reinforce this message with top business students from around the world as they prepare to embark on their entrepreneurial journey. 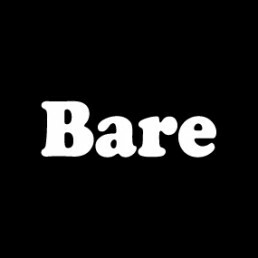 Bare PR delivers a wide range of corporate training and workshops to businesses across the UK including crisis management, media training and making social media count. To discuss training needs for you and your team please get in touch.